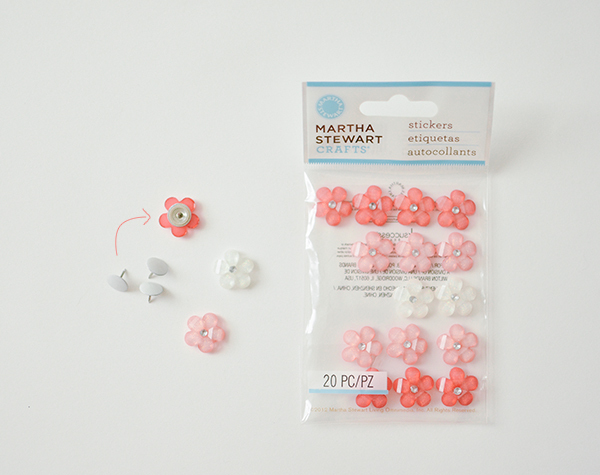 I mentioned awhile back that I joined the 12 Months of Martha team this year, and I have a few fun craft projects to catch up on sharing here. 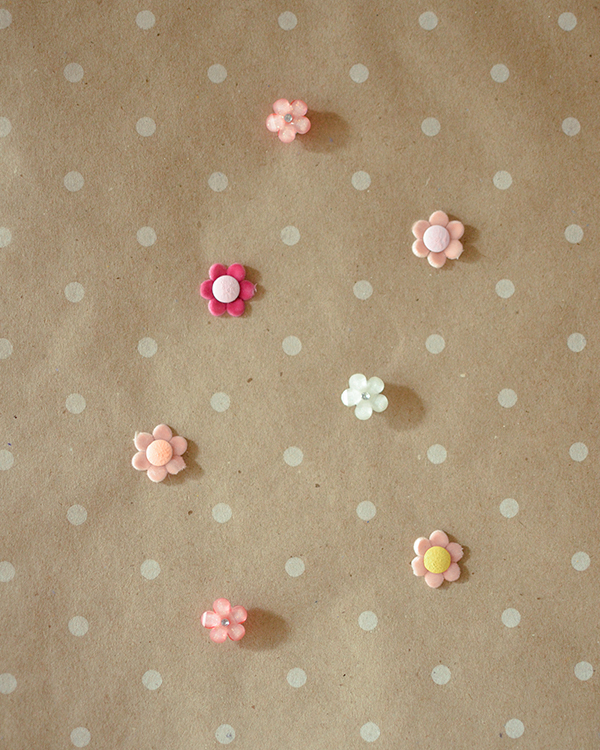 The first are these flower tacks, which are an easy, pretty upgrade for your real-life "pin" board. I love the simple difference they make! While these mostly explain themselves, below is a quick rundown (which takes about as long to read as to make). Hope you enjoy. 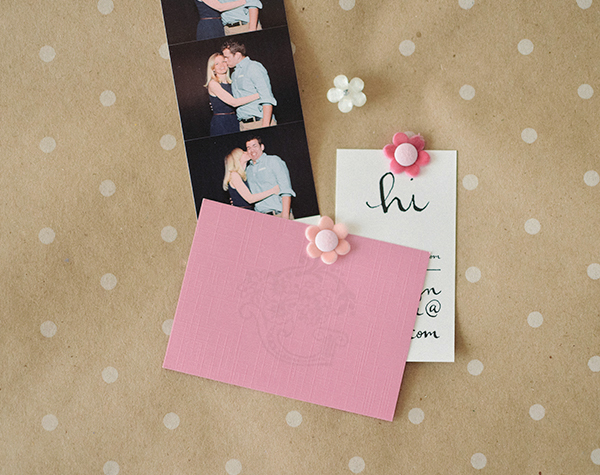 Using the flower ribbon (shown above), cut off a single 'flower' and poke a painted thumbtack through the center. Add a tiny bit of glue if you'd like it more secure. 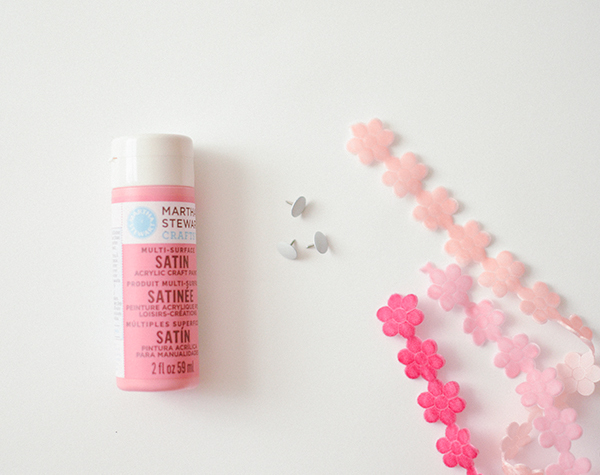 Remove adhesive sticker from the back of flower gem and add a dab of multi-surface glue. 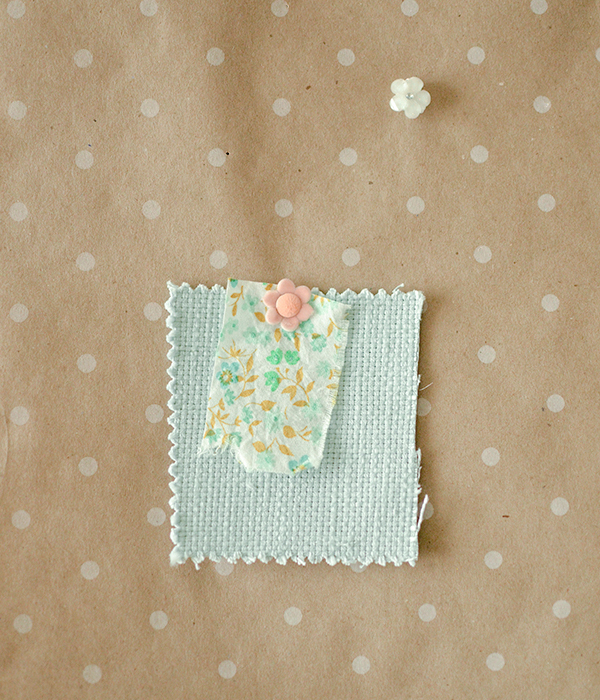 Stick the flat top of the thumbtack onto the glue and gently hold in place, leaving it to fully dry before using. This is cute. Glad to see you're back with some fun projects and other posts!